“Do You Know The Way To San Jose?” says the old song. Answer? Yes, we do! It is straight down US-101 about 50 miles South East of San Francisco. You can drive there in a little over an hour. Of course, most people think of San Francisco as THE city in the Bay Area, but San Jose is actually older than San Francisco and bigger. San Jose was founded on November 29th 1777. Its’ population today is approximately 1,050,000 compared with San Francisco at approximately 870,000.
Who knew? Well, as San Jose short term housing experts we did. Of course, the reason that San Jose has grown exponentially is not hard to fathom out. It lies in the heart of Silicon Valley and major companies with a base here include Adobe Systems, eBay, Dell Wyse, Fairchild Semiconductor, Western Digital, Verifone, Nanosolar, Lynx Software Technologies, GEO Semiconductor Inc, Knight Ridder, and Polycom, to name just a handful. There are many, many more high tech companies operating here and they take on temporary workers for all sorts of different projects, all of whom need somewhere to stay while working in and around the city. What this means is that San Jose short term housing can be very difficult to find because so many people need it. If you are being posted to San Jose or the surrounding area on a limited time contract you should talk to us about your accommodation needs. At Key Housing Connections we have been in the business of providing affordable San Jose short term housing for very many years and as the city has grown so we have grown with it. Some of our landlords have been connections of ours for the proverbial donkey’s years and they trust us to find suitable tenants for their properties. This means that we have short term housing available that is simply not available anywhere else because it is not advertised. From our landlords point of view it means that they save money on advertising because we do all the leg work involved in finding short term tenants for them. Everyone benefits. And you benefit because it means that we can provide what you need when you need it, rather than you having to spend hours and even days trying to find something for yourself when there is not much available on the open market in the first place. 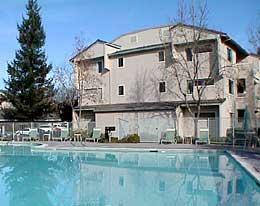 So whatever you need in San Jose by way of short term accommodation make us your first port of call. The number is 800 989-0410.